When you read a garden path sentence, you start by initially assuming a certain interpretation for the sentence. However, as you continue reading, you suddenly realize that the original interpretation isn’t possible, which causes you to get stuck. You then have to process the sentence again, before you can finally derive its correct meaning. For example, let’s look at the sentence in the title of this post: “the horse raced past the barn fell”. When you started reading it, you probably assumed that the verb “raced” is active, rather than passive, as it usually is. However, once you got to “fell”, you realized (intuitively) that your initial interpretation doesn’t make sense for some reason (because if “raced” is active, then “fell” doesn’t have a subject). You then had to reprocess the sentence, before you were able to reach the correct interpretation, where the verb “raced” is passive. This annoying reanalysis is the result of a garden path structure, which sometimes appears in people’s writing. The following article will show you where garden path sentences occur, why it’s important to avoid them, and how to identify and fix them in your writing. Without her contributions would be impossible. All of these sentences contain an initial ambiguity, where a certain word or group of words can be interpreted in more than one way. Since readers attempt to understand the sentence as they are reading it, they tend to pick an initial interpretation for the sentence, which later on turns out to be incorrect. Once they realize that the initial interpretation doesn’t work, they become confused trying to make sense of what they’re reading. After Bill drank the water proved to be poisoned. Odds are that when you read the sentence, you first analyzed “the water” as the object of “drank”, meaning that Bill drank the water. However, once you reached the verb “proved”, your brain realized that the initial interpretation of the sentence doesn’t make sense (because there would be no subject for “proved”). This led you to reanalyze the sentence, so that “after Bill drank” became an adjunct of “the water proved to be poisoned”. Most this linguistic processing is performed at a subconscious level. That is, while you will generally notice that you got stuck while reading a certain sentence, you won’t really know why it happened, or how your brain eventually managed to fix the issue, by reanalyzing the sentence in order to provide you with an appropriate interpretation. Interestingly, your brain sometimes goes further in an attempt to resolve garden-path ambiguities, and performs something called good-enough parsing. When this happens, your brain intentionally misinterprets the text, and goes with the initial, incorrect meaning for the sentence, while ignoring the material that leads to the reanalysis. This subconscious process saves you the trouble of getting stuck while trying to figure out the sentence’s meaning, at the expensive cost of making you misunderstand what the sentence actually means, while still slowing down your reading. We won’t get into the mechanisms behind the exact linguistic processing involved here, since it’s complicated, technical, and still not fully understood by researchers. However, a discussion of these mechanisms isn’t necessary for the intuitive understanding of how such sentences occur, and how they affect you. Note: garden path sentences derive their name from the saying “to lead someone down the garden path”, which means to mislead or deceive someone. Because garden path sentences are so difficult for readers to process, it’s important to ensure that they don’t appear in your writing. Otherwise, you risk confusing your audience, and ruining the flow of the text. Since garden path sentences can occur in a variety of situations, there is no single formula which can be used in order to identify and fix all of them. However, most of these sentences share similar characteristics, so there is a simple process that you can follow in order to ensure that they don’t appear in your writing. Identifying garden path sentences is an intuitive process. Essentially, as you read through the text, try and find places where you get completely stuck when interpreting a sentence, because you find yourself having to “restart” the processing halfway through. Then, read carefully through it to see if it seems like the “restart” is a result of an ambiguity, as described here. If it is, then it’s likely a garden path sentence, and the next section will show you a few simple ways to resolve the ambiguity. If it’s not, odds are you should still fix it, since this is indicative of a problem in the text. However, in the latter case, the solutions suggested below may not help, as they’re intended specifically for solving ambiguities that result in a garden path sentence. Note: it can sometimes be difficult to find problematic sentences in your writing, since as we saw above, our brain sometimes conducts a sort of “autocorrect” process that hides them from you. This is especially an issue if you’ve already spent a lot of time working on the text, since your brain is often more predisposed to perform an “autocorrect” on material that you’re already strongly familiar with. If you feel that you need extra tips on how to proofread your texts effectively, read this post. Fixing garden path sentences is, similarly to finding them, a fairly intuitive process. Since there are many different variants of these sentences, there are also many different ways to fix them. However, all methods revolve around the same key concept: you need to remove the ambiguity which creates the issue in the first place. Fortunately, there are a few simple ways to do this, which will work in the majority of cases, and which will save you the trouble of having to completely rephrase the sentence. Without her, contributions would be impossible. I convinced her that children are noisy. Ann warned her friends were unreliable. Ann warned that her friends were unreliable. The horse which was raced past the barn fell. As you can see, despite the grammar-related terminology used in the explanation, identifying and fixing garden path sentences in your writing is a relatively simple and intuitive. This is also why these sentences almost never appear in speech: when we talk, we generally employ intonational cues and use more conventional structures, both of which prevent these ambiguities from occurring in the first place. A garden path sentence is a sentence which contains an ambiguity that leads the reader to initially assume an incorrect interpretation for the sentence, as they’re reading it. For example, in “the horse raced past the barn fell”, the reader initially assumes that “raced” is an active verb. Once the reader reaches “fell”, they realize that “raced” must be passive, otherwise “fell” wouldn’t have a subject, and the sentence would be ungrammatical. This subconscious reanalysis requires a lot of cognitive resources, and interrupts the reading process, while confusing the reader, which is why it’s important to avoid garden path sentences in your writing. 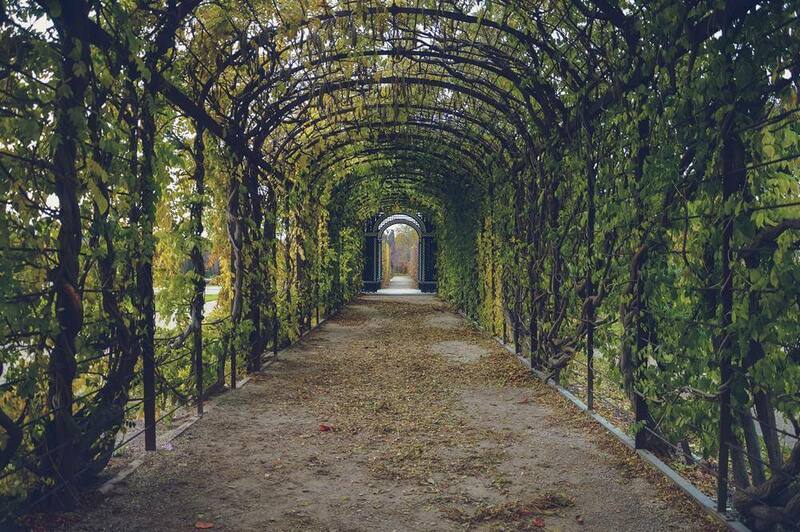 Identifying garden path sentences in your writing is an intuitive process; try to find places where you get stuck when interpreting a sentence, because you find yourself having to “restart” the reading halfway through due to an initial ambiguity. Fixing garden path sentences is also relatively simple and intuitive; the most common methods involve inserting a necessary comma or a complementizer (e.g. that, which, who), in order to resolve the problematic ambiguity.